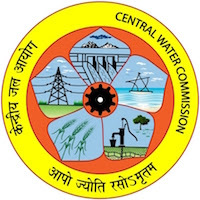 Online Application Details for Central Water Commission CWC Recruitment of 111 Skilled Work Assistant is given below. Application form and duly attested documents are to be sent to Executive Engineer, Upper Yamuna Division, Central Water Commission, B-5, Kalindi Bhawan, Tara Crescent Road, Qutub Institutional Area, New Delhi, PIN 110016. In envelope super scribed with 'Application for the Post of Post Name'.